"187 students at Dudhodi School, India, will now have toilets, wash stations and hygiene education thanks to partnership between RC Poona D3131, RC Chadstone/East Malvern D9800 and RC Box Hill Central D9810. The Dudhodi School currently has 187 students (95 boys and 92 girls) and have no toilets. After the toilets are installed, the school population is expected to grow. Most of the teaching staff are female. This is a really beautiful school. I have uploaded a short video for you to see it. It is absolutely clear from these images that the school staff, the board and the local community take a great deal of pride in this school. I'm sure you will see what I mean when you watch the video. The school was built at a time when toilets were simply not prioritised and cleaning/maintenance was not considered. I have no doubt that toilets built in this school will be treated with the same care that the rest of the school is treated. Enjoy the video. The design allows for four cubicles for girls and female teachers which about half a toilet more than the school currently needs. 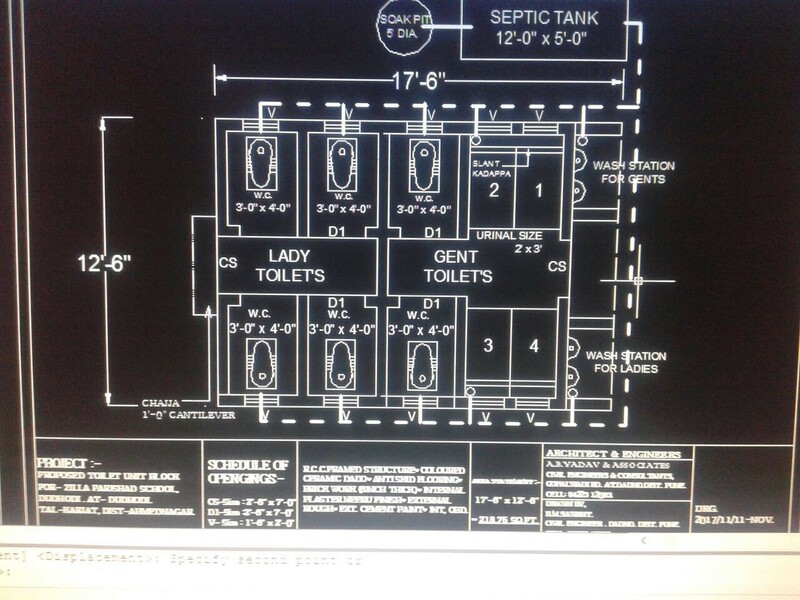 This number of toilets allows for an additional 22 girls to enrol before we meet our ideal toilet to student ratio. If we were to build only three toilets our ratio would already be outside our ideal and as the population of the school grows, this would only worsen. The design also allows for two cubicles and four urinals for boys and male teachers. This number is appropriate for the current population as well as allowing for some growth. The quote was organised by the Rotary Club of Daund which is a partner club of the Rotary Club of Poona. The township of Daund is around 80km east of Pune and the village of Dudhodi is around 20km east of Daund. As such, the Rotary Club of Daund would be the primary supervising club of this project with oversight from the Rotary Club of Poona. I have met the majority of the members of both clubs. I have known a number of members of the Rotary Club of Poona for five or six years. The Rotary Club of Poona is the second oldest club in India and is a large club with close to 100 members. They have been building school toilets for a number of years. In fact, the very first school toilets that I visited in India were built by the Rotary Club of Poona. You may remember the story in my TEDx talk of the children taking soap home and telling their parents they would not eat with them until they washed their hands properly. This was facilitated by the Rotary Club of Poona. The total amount quoted is approx INR350,000 which is around A$7,000. In my view the quote is very reasonable - I rejected the first quote which was around 20% higher. I do not believe we need any additional quotes. Rotary Chadstone East Malvern agreed to contribute A$4,000 to this project. The Rotary Clubs of Poona and Daund will probably contribute around A$2,000 to $2,500. Any shortfall will be covered by the Rotary Club of Box Hill Central and/or We Can't Wait.